For over 80 years, Selkirk has manufactured innovative and quality chimney, venting and air distribution products. 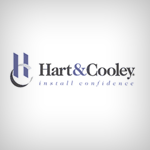 Established in Chicago in 1892, the Hart & Cooley Manufacturing Company has been making venting, chimney, and air distribution products ever since, winning awards along the way. Skytech manufactures industry-leading wired and wireless hearth control systems, gas valves, high-performance fireplace blower kits, and outdoor fire pits. 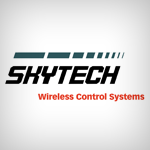 Skytech Systems Canada represents the Skytech product line across Canada, and Skytech Northeast represents the Skytech product line in the Northeast United States. Twin Eagles manufactures premium gas grills and outdoor kitchen accessories at their state-of-the-art facility in Cerritos, California. Style…Performance…Quality. 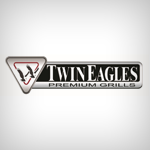 The unrivaled Twin Eagles Cooking System is what separates Twin Eagles from all other grills. Coleman & Associates represents the Twin Eagles product line in Canada. DeltaHeat grills and accessories add luxury to your outdoor kitchen, while enhancing the experience of your backyard gatherings and celebrations. Combined elegance, performance and quality will ensure years of enjoyment for you, your family and friends. 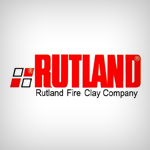 Rutland Fire Clay Company is a manufacturer of Fireplace, Chimney, Hearth and Barbeque maintenance products. Coleman & Associates represents the Rutland product line New York State and Pennsylvania. Bulls-Eye Professional Products manufactures High-Temperature RTV Silicone. Coleman & Associates represents the Bulls-Eye Professional Products line throughout all of Canada. Lux Products Corporation manufactures LuxPro Thermostats and Accessories for the Professional installer. LuxPro offers a full line of programmable, digital, and mechanical thermostats. Coleman & Associates represents the LuxPro Thermostat product line in Ontario. "Where innovation and excellence in manufacturing come together" is their tagline; Caframo is known for its hearths, ecofans and Thermal Electric Technology.